Despite a decade-long experiment with record-low interest rates, despite trillions of dollars in deficit financing, and despite headline unemployment numbers staying at/near record lows, the U.S. economy is not in a rude health. As the chart above clearly shows, both in terms of period averages and in terms of current level readings, Employment to Population Ratio (for civilian population) has remained at abysmally low levels, comparable only to the readings attained back in 1986. 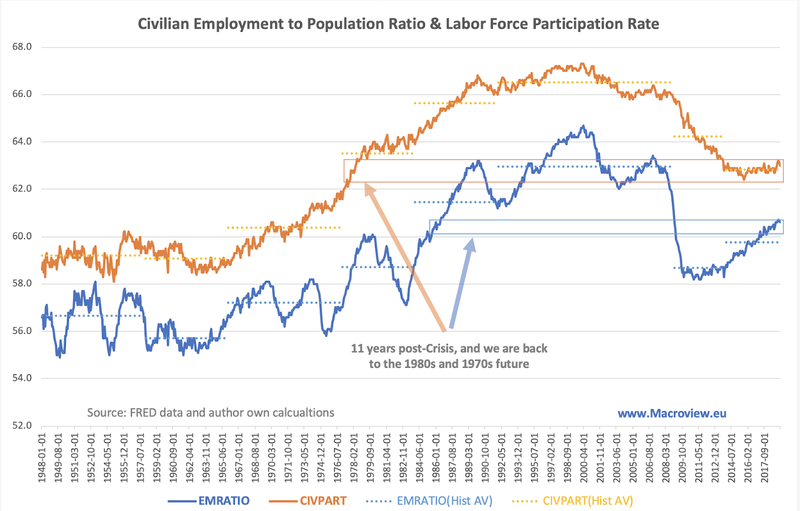 Meanwhile, labor force participation rate is trending at the levels consistent with those observed in 1978. Despite a decade-long experiment with record-low interest rates, despite trillions of dollars in deficit financing, and despite headline unemployment numbers staying at/near record lows, the U.S. economy is not in a rude health. 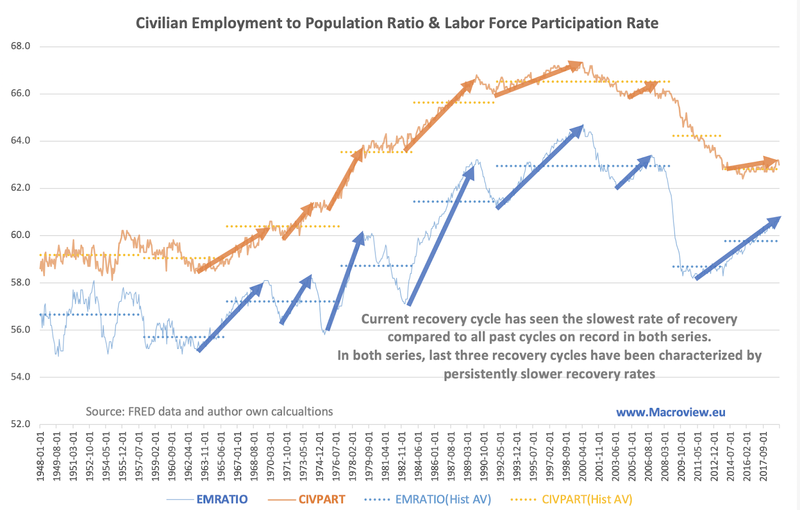 In fact, by two key metrics of the labor force conditions, it is not even in a decent health. As the chart above clearly shows, both in terms of period averages and in terms of current level readings, Employment to Population Ratio (for civilian population) has remained at abysmally low levels, comparable only to the readings attained back in 1986. Meanwhile, labor force participation rate is trending at the levels consistent with those observed in 1978.